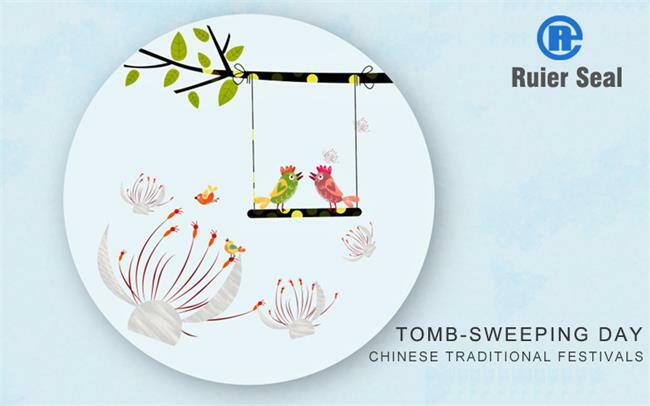 The Tomb-sweeping Day is also known as the “Tsing Festival”. It is the 104th day after the winter solstice. It is a traditional Chinese festival and one of the most important festivals. It is the day of ancestor worship and grave sweeping. The Tomb-sweeping Day of the Chinese nation began around the Zhou Dynasty. It has a history of more than 2,500 years. Tomb-sweeping was the first name of a solar term. It became a festival to commemorate ancestors and it was related to Cold Food Festival. Jin Wengong set the day after the Cold Food Festival as Tomb-sweeping Day. In most parts of Shanxi, Cold Food Festival was held on the day before the Tomb-sweeping Day; Qinshe County and other places were over the Cold Food Festival two days before the Tomb-sweeping Day; and Qu Qu County also paid attention to the Cold Food Festival the day before the Tomb-sweeping Day and the food for the first two days before the Tomb-sweeping Day. The Tomb-sweeping Day is one of China's important "eight festivals in a year". It is usually around April 5th of the Gregorian calendar. The festival is very long. There are two kinds of statements after the 8th and the 10th days before the 10th. This is almost within 20 days. Tomb-sweeping Day. The Tomb-sweeping Day was originally referred to fifteen days after the vernal equinox. In 1935, the government of the Republic of China decided that April 5 would be the national holiday Tomb-sweeping Day, also known as the national grave festival.